It’s a crying shame that I only had a short time in this amazing country, but I am convinced that a second trip is inevitable. 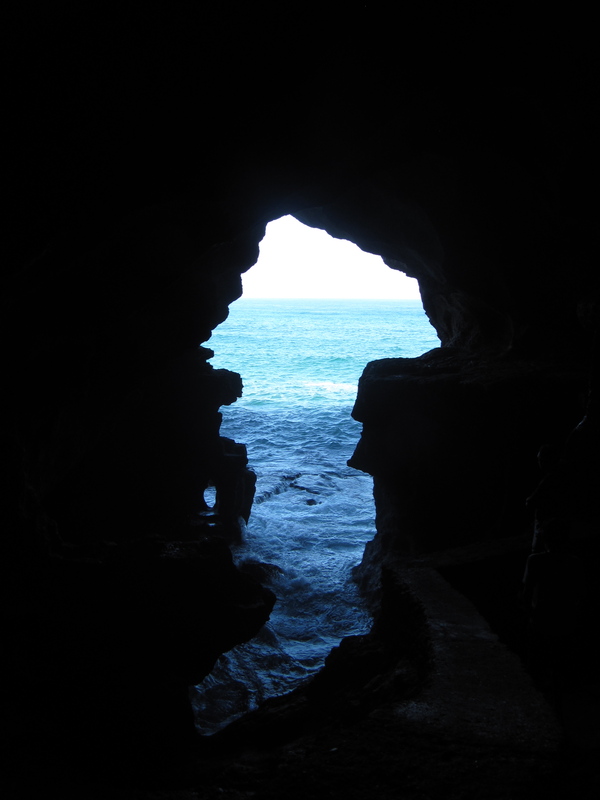 My first peek into North Africa! I think that Chefchaouen and Tangiers are pretty unique as well. 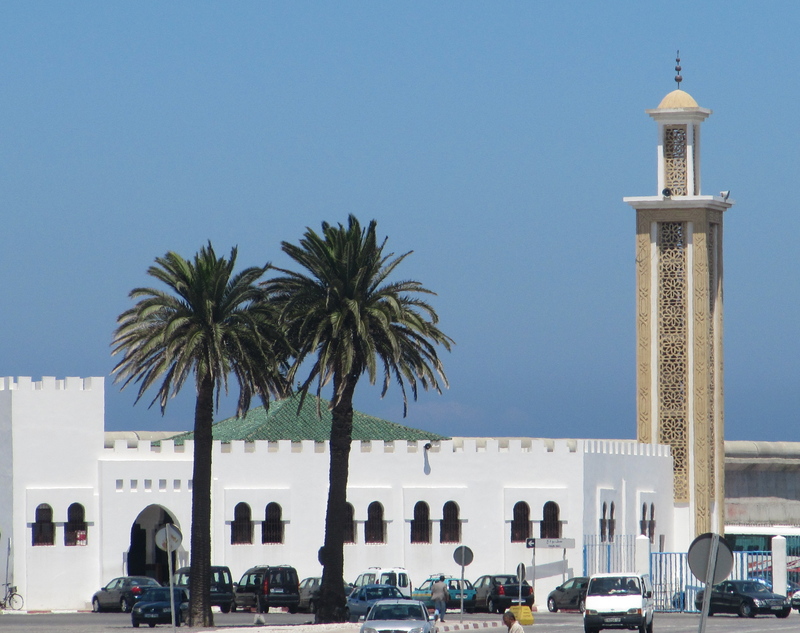 Next time I will travel to Marrakesh, Meknes, Rabat, Essaouira and Casablanca… but at least I had a taste of this lovely country. I can’t imagine the right adjectives to describe Morocco and its people accurately but I’ll try: dusty, esoteric, cosmopolitan, delightful, hot, decaying, aromatic, dazzling, enterprising, concealed, stale, exotic, profound. I should add asymmetrical too. Some of those words contradict each other, but that’s Morocco. There’s nowhere quite like it and I could travel around the country for years and never take enough pictures. ◊ Meet some charming and friendly Berber people in the little blue city of Chefchaouen – why it’s painted such a pretty blue I don’t know.This ancient Andalusian town in the Rif Mountains is easy to navigate. 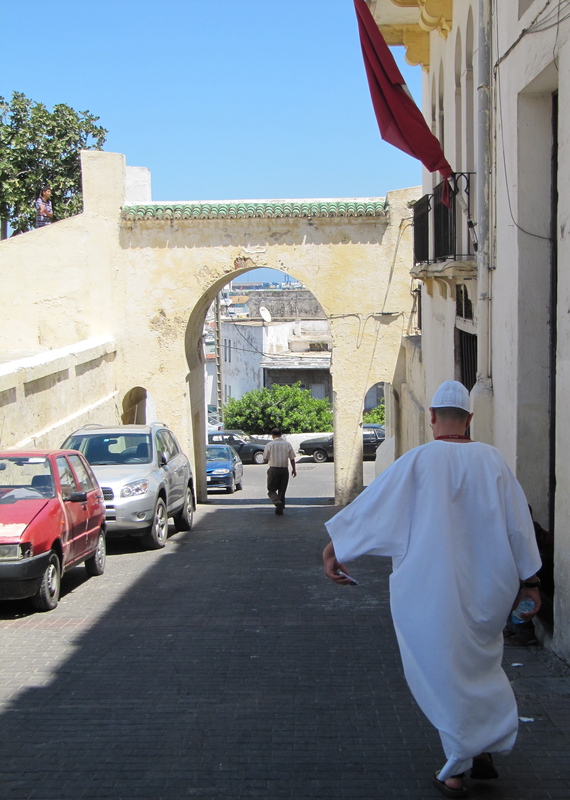 You could easily see the city in a few hours but it’s worth a trip from Tangiers to see. 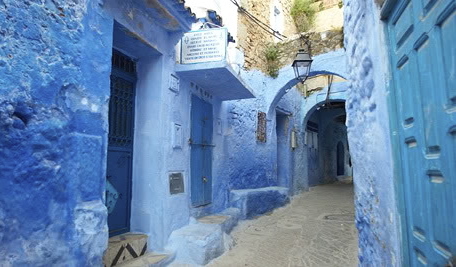 There are buses and inter-city taxis to Fez from Chefchaouen. 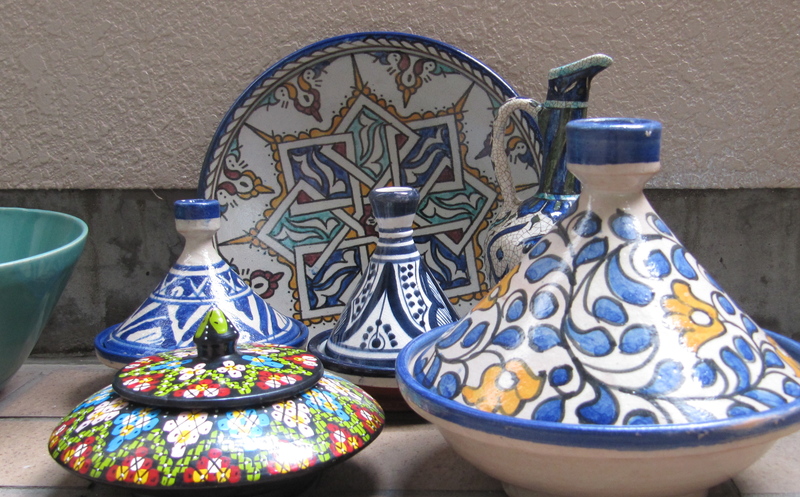 ◊ Pick up some pieces of Fez’s famous pottery and ceramics – especially tiles, tagines, plates and bowls. The traditional blue and white ceramics have been made in this city for 600 years and are available in others in various colours as well. 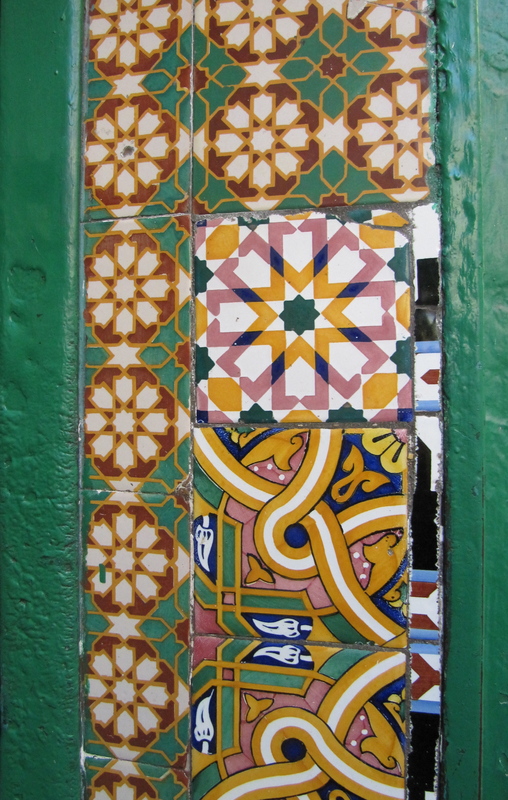 If you get in a taxi and ask the driver for “Les Poteries de Fes” they will take you a few kilometres out of the medina (5 Dirham from Bab el-Ftouh) to the potter’s and artisans quarter. It’s not cheap and you have to haggle HARD but they have great stuff. If you don’t find what you’re looking for go back to one of the small shops in the medina. ◊ Drive out to the Sahara to be alone in the sands to be alone with your thoughts and your camera – it’s not far at all and the scenery is stunning. It’s easy to find someone to drive you there. ◊ It’s quite scary in the dark, maze-like medinas of Fez and Tangiers at night but if you leave your valuables at home and preferably have someone to come along with you it can be a real adventure if you like that sort of thing as I do. Wear good walking shoes for the uneven streets – and who knows, you may need to run back to your digs. Watch your step! ◊ Climb to the ancient Merenid tombs on the hills at the north of Fez are worth the climb up the hill (I think a taxi is very cheap, anyway) you get a great view of Fez and can walk back to the medina in about 20 minutes. ◊ Visit some beautiful synagogues and mosques. 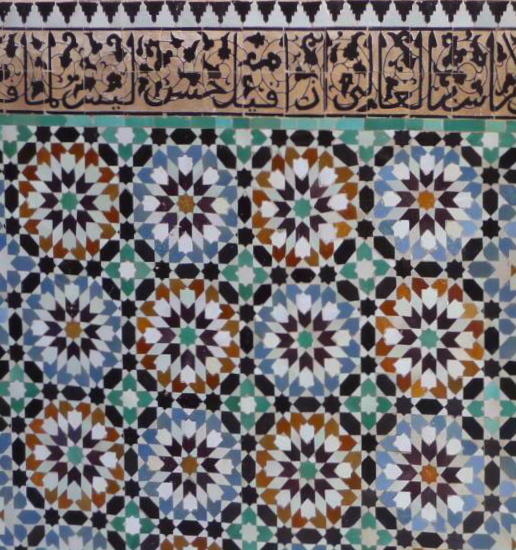 Unfortunately, the 1200-year old Kairouine Mosque in Fez is not available to non-believers – it is permitted to enter the courtyard or peer through the doors.I think the Grand Mosque in Tangiers has tours for visitors and some others are available if you book a tour. ◊ Eat some fabulously exotic Moroccan food at Raihani’s (10 Rue Ahmed Chaouki, Ville Nouvelle, Tangiers) or the stunning Le Maison Bleue (2 Pl. de l’istqlal Batha, Fes Medina) I am sure there are such places in Chefchaouen, but I didn’t find them. 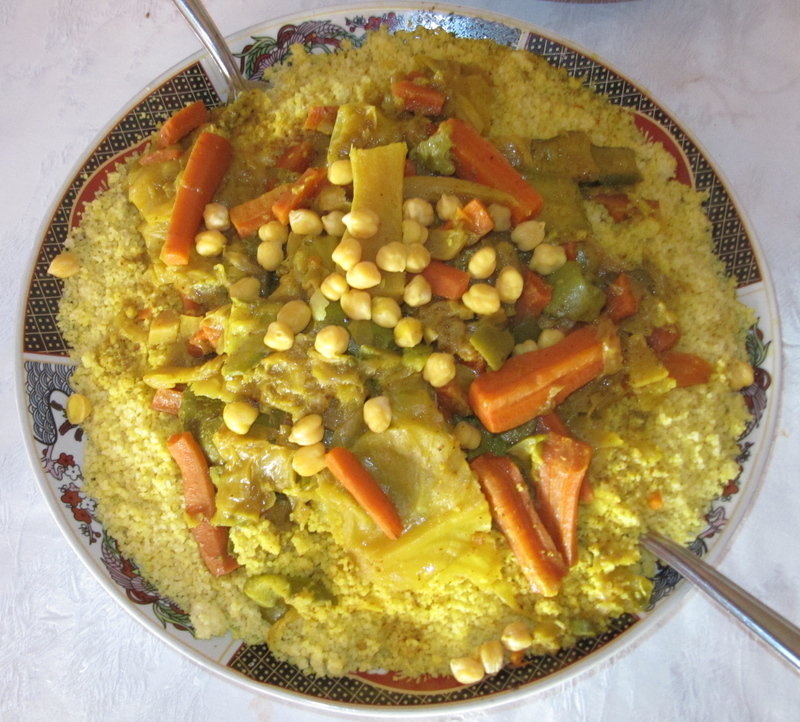 Like many places in the world, if you eat at an ordinary local restaurant in Morocco, the food is… ordinary. The meals here can be diverse and delicious but, in my opinion, regular Moroccan food just isn’t as exciting as Middle Eastern cuisine – people seem to think it’s the same but North Africa is different. Unless you are going to eat at 5 star places in the cities,you’ll be eating mainly couscous, khobz bread, some kind of kebab or tagine (baked meat and vegetables) and the meat is often lamb or chicken. Couscous, couscous and more bloody couscous… don’t expect falafel, tabouli or baba ghanouj at real Moroccan restaurants – that’s middle eastern Arab cuisine. You will find hummus and other dips. Something I did find that I loved was the bastiyya or pastilla, which is like a pie with meat or seafood with thin, crepe-like pastry. My favourite vegetable, the venerable aubergine, is very common here and the fried aubergine and chickpea, tomato and aubergine stews are all noteworthy and healthy too. Don’t miss out on the delicate Moroccan sweets which are served with the du menthe (mint tea) which tastes like warm, sugary toothpaste. If you don’t know what this is now, you will after 3 days in Morocco! Make sure you brush up on your market etiquette before heading to the souqs: start negotiations at 40% of the price, smile, be pleasant but firm, don’t spend more than you feel comfortable with and remember that will never sell you anything if they are losing money, despite their claims. 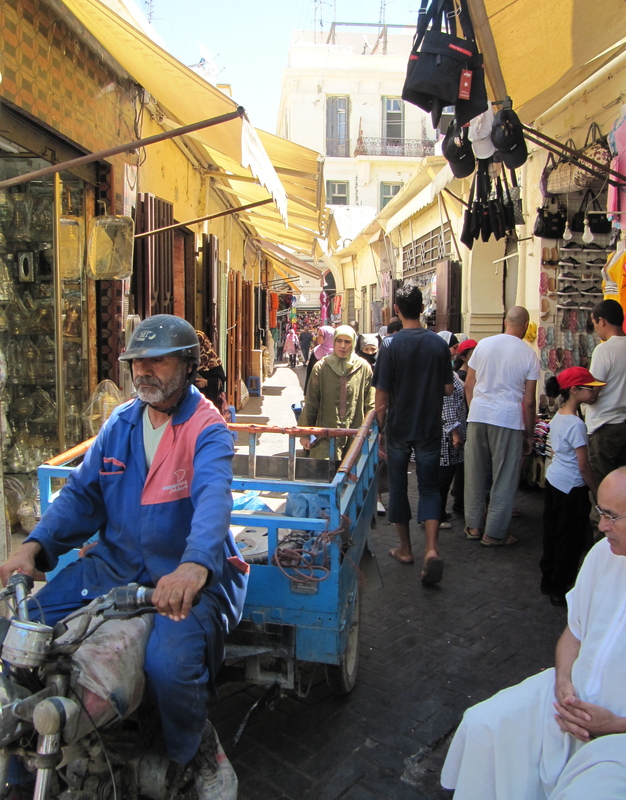 With or without friends/a guide/a native Moroccan companion, be aware of any pickpockets in the medinas and be sensible – don’t leave your bag lying around, leave some valuables in your hotel safe and/or carry them with you in a money belt, it’s amazing how many people don’t do this!